There are several communities of Rajasthan, who are involved in making leather products and embroideries on them. 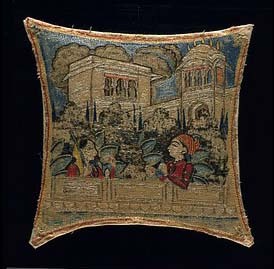 In the `knucklepad` leather products, miniature landscapes and festive scenes are embroidered like in Rajput paintings. In these embroidery works of Rajasthan, the minute details of the embroidery are worked out and the group compositions are done carefully. 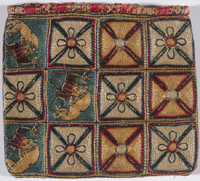 The scenes embroidered here are mainly of human figures as well as floral and bird designs.